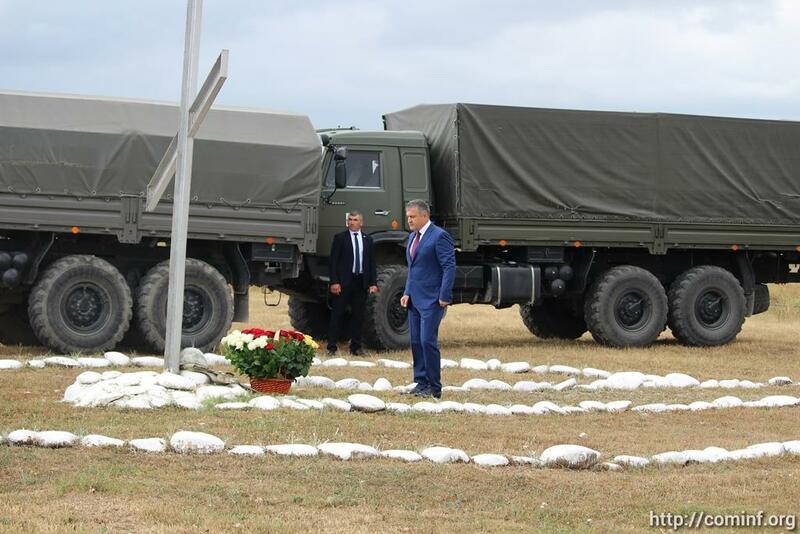 South Ossetia's de facto president, Anatoly Bibilov, observes "Peacekeeper Day," a day to remember Russian peacekeepers who died in 2008. On August 26, South Ossetia will celebrate its tenth anniversary of independence – of a sort. In 2008, shortly after the war with Georgia, Russia became the first country to formally recognize this tiny republic as an independent state. Although most of the world considers South Ossetia to be part of Georgia, the territory is putting on a bash in honor of the measure of independence it does enjoy. The celebration will feature a spectacle by 2,500 performers, a laser show, and a concert by Russian pop stars, presidential adviser David Gazzayev told local television. Combined with some 500 security officers working the event, that means about 10 percent of the territory’s estimated population will be directly involved. The authorities have invited a number of foreign dignitaries to attend, mainly from Russia and the handful of other countries and entities that have followed Moscow's lead and formally recognized South Ossetia. On the guest list is Nicholas Maduro (the president of Venezuela), Daniel Ortega (Nicaragua), as well as the de facto leaders of Nagorno Karabakh and the separatist Ukrainian Donetsk and Luhansk People's Republics. The most eagerly anticipated arrival is Syrian President Bashar al-Assad; Syria was the latest state to recognize South Ossetia. None of those leaders have confirmed their appearance, however, and the one would-be star – Russia’s Vladimir Putin – won't be there. Putin instead invited South Ossetia's de facto president, Anatoly Bibilov to Moscow for a sort of pre-party, along with Bibilov's counterpart in Abkhazia, Raul Khajimba. (Russia recognized Abkhazia on the same day it did South Ossetia, and Abkhazia is holding its own celebration, also on August 26.) South Ossetians – who hold Putin in far higher regard than Bibilov – have observed with regret that the Russian president has visited Abkhazia twice since 2008, but South Ossetia not at all. It's not clear how much South Ossetians will be in the mood to celebrate. To be sure, a decade on, many South Ossetians remain grateful to Russia for the support – not just diplomatic, but financial and military. And they remain steadfast in their desire not to be part of Georgia. Nevertheless, many South Ossetians are looking at the anniversary with a bit of disillusionment, disappointed things have not turned out better. “Russia's recognition of our independence was to me a great gift,” said Zarina, a 49-year-old resident of the de facto capital of Tskhinvali, who asked that her last name not be used. “But it seems that 10 years is long enough to start building something. But what is happening is extinguishing my hopes,” she told Eurasianet. Russia has poured money into its protectorate. According to the news site Meduza, citing internal Russian government documents, Moscow spends about 6 billion rubles annually on South Ossetia – about $88 million. Per capita, that is double what Russia spends on Crimea and 10 times what it spends on North Ossetia, the neighboring Russian republic. That investment has paid for new apartment building and schools, roads and other infrastructure damaged in the war, but South Ossetians complain that the work has been done by Russian firms and the bailout has left the territory's economy underdeveloped, still dependent on Russian subsidies and with little industry. “'Independence' means, above all, economic independence,” said Fatima Turmanova, a Tskhinvali-based journalist. 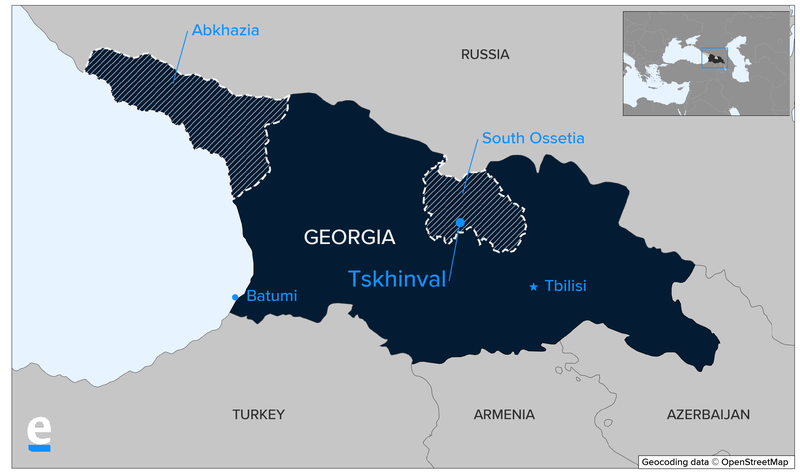 While the August 26 celebration will be of Russia's recognition, for many in South Ossetia, independence isn't the end goal – they hope that it is a step on the way toward integration with North Ossetia and thus Russia. South Ossetian politicians have on many occasions called for inclusion into Russia, though Russia has shown little inclination to formally absorb the territory. Unification with North Ossetia is “the age-old dream” of all Ossetians, Turmanova, the journalist, said. “And it's not just rhetoric. But unfortunately it will be decided by international circumstances. It's not our decision to make. Irina Kelekhsayeva is a freelance journalist based in Tskhinvali.